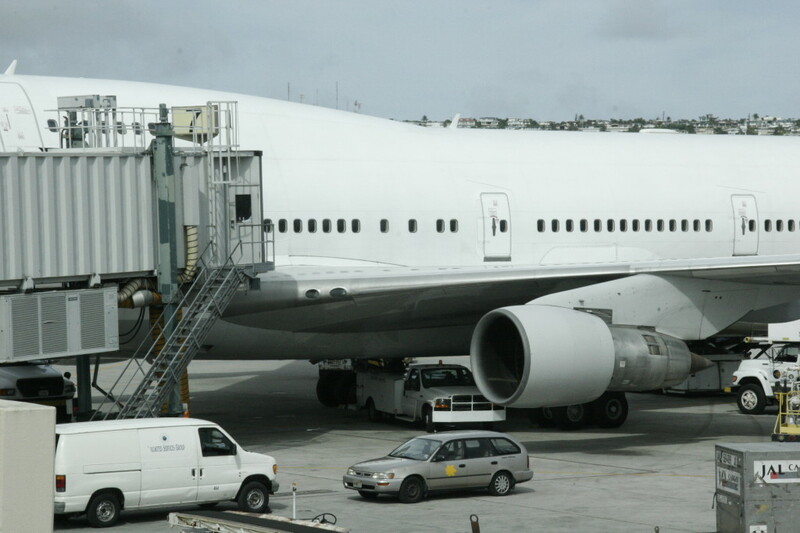 The airline industry has been facing an increase in costs over the past five years. This comes from various factors such as fuel and purported security cost increases and has an impact on air travel and the transport of cargo alike. The travel industry strongly opposes these increased costs, as does the cargo sector. Airline passengers regularly face increased security charges when booking flights, and the same is true for logistics companies. Whilst security is a critical element to ensure that the world’s cargo is moved safely around the skies, many logistics companies are asking if the increases in the costs actually justified or are the airlines looking to profiteer from the current global climate of issues which surround security. There are some quarters that suggest the increase in security charges is a revenue raising exercise and the costs aren't actually increasing. This is having an impact on freight costs worldwide and the logistic companies that are looking to use the airlines. Carrying cargo and freight is a key role for commercial aircraft as it is a valuable revenue stream in addition to carrying passengers. This includes some commercial passenger airliners and their precious belly space. The cargo carrying capacity of a passenger airliner is considerable, and is in great demand from logistics companies who can benefit from the vast airline networks that seamlessly crisscross the globe day and night. Such demand is an obvious area for airlines to commercially exploit by providing services for these additional markets however, the charges that airlines apply for transporting this cargo have seen dramatic rises in recent times. Lufthansa, for example, have increased security surcharges by €0.25 per kilo of freight carried, making it one of the highest surcharges in the market. But the claim from logistics companies is that security costs have not risen, making the increase in surcharge unwarranted. Rises in handling charges and security surcharges by airlines have been attributed to the low yields in the airfreight logistics industry as a whole. Some airlines use these charges as a way of lowering the headline fare for the passenger markets; this can attract customers in to travel on a certain route but without affecting the overall end price that the passenger pays. In order to compensate for the slowdown, it has been suggested that the rise in charges that are paid by logistics companies, in particular those relating to security, has been made to make up for the low yields of freight. It seems that using a similar model of increasing charges in the freight market is an attempt to increase revenue for the airlines without the base price, which may be leading to stagnation. The consequence of this means that airlines are not seeing the same volumes of freight which have previously made such a valuable contribution to their revenue. Should logistics companies pool their resources? Logistics companies currently have little choice but to continue to accept these rises. Some giants of the industry have their own dedicated cargo aircraft fleets and may be able to affect a limited control over transportation costs as a result. But what about the rest of the industry- those relying on the air cargo capacity of airlines? If they can find a way to work together for the mutual benefit of each other they may be able to offset the impact of the increased charges. Perhaps one idea may be for the dedicated freight carriers and freight forwarders to pool resources and work together- using spare capacity to benefit each other. Cooperation between airlines already happens in the form of global alliances, as well as in other industries. Working together in the market can be mutually beneficial to all members and reduce costs in a number of ways. Dedicated airfreight carriers could offer freight forwarders a more competitive price to handle their cargo and at the same time ensure the loads on aircraft are maximised. Increasing loads are the key to reducing additional charges, which are required by the airlines for maintaining revenue at a high enough level. However, the airfreight operators cannot offer logistics companies anywhere near the carrying capacity of the global airline network. So it seems the logistics companies are subject to the whim of the airlines. Compounding the problem for these companies, is the fact that their customers have often signed contracts and have agreed fixed prices for the year to ensure price stability, so any short term increases in freight yields during the year are of little benefit. What can the logistics companies do to increase the profitability of their business now? Well one option is to find ways to mitigate the increasing surcharges in the interim. One interesting venture is currently taking place at Amsterdam Schiphol Airport between the airport, Dutch Customs, Air Cargo Netherlands and KLM Cargo known as SmartGate Cargo. The scheme revolves around the streamlining of the customs procedures and the freight handling process as a whole by allowing airfreight and freight forwarding companies to scan the cargo on their own premises. Customs officials can then view these images remotely and decide which particular elements may need a physical inspection at the airport. It is the principle of this joint venture that logistic companies should take note of- working together to streamline the processes of their industry may be one way to aid profitability. According to the chief executive of Atlas Air, there has been an increase in the volume of freight in the first quarter of 2014. If volumes continue to increase then there is certainly a case for the airlines reducing their charges and although there is no way of knowing what the rest of the year has in store for the industry, there are reasons for logistics companies to be optimistic about the future.